The extensive programme of tasting we ran over the festive season yielded two overall winners with our customers and we are delighted to be able to offer you these stars of our range and a preferential price this spring. 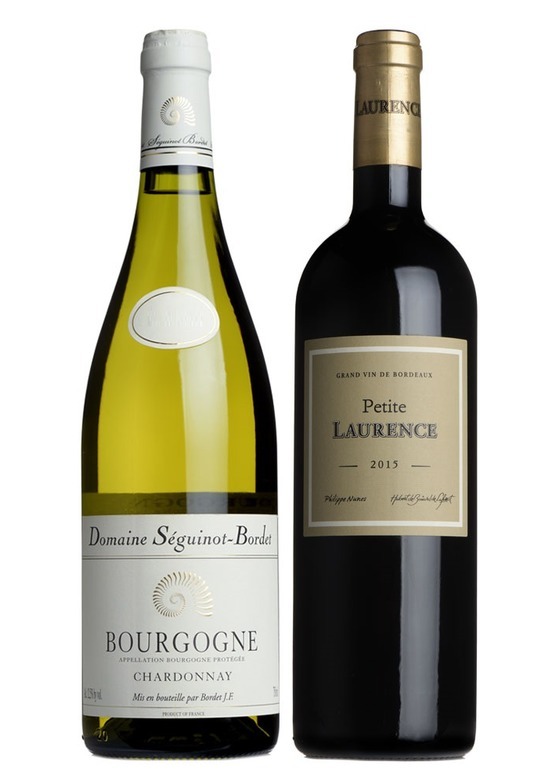 Enjoy a claret of great pedigree and character for just £10.75 per bottle with 2015 Petite Laurence from Bordeaux. Made in conjunction with the esteemed Hubert de Boüard of Château Angélus, Petite Laurence recently won our claret blind tasting of candidates under £15 and punches way above its weight. Combining the plush opulence of merlot in 2015 with the stylish elegance and perfectly-judged poise that can be expected from one of the superstars of Bordeaux winemaking, this is an absolute must-have that will deliver superb drinking pleasure whether it is drunk now, or in three years. Coupled with this is a Burgundian Chardonnay that’s slightly more restrained and more classic in character. Produced in Chablis from grapes grown just outside the appellation boundary, Séguinot-Bordet's Bourgogne Blanc is Chablis in all but name - steel-fermented, crisp, clean and pure with a firm mineral core. We’d be looking at a much higher price tag had this been grown within the boundaries of Chablis.